Do the same sorts of projects over and over? Save yourself time by adding frequently-used messages, to-dos, files, and more to a project template. If you’re creating your first project template, you’ll find a link on Home just under the Projects heading. Already created your first template? Click the “New” button in your Projects section to start a project from an existing template. You can also view existing templates and build new ones by clicking "Manage Templates." Like regular projects in Basecamp 3, you’ll want to name your project template and give it an optional description. You can always change this later. 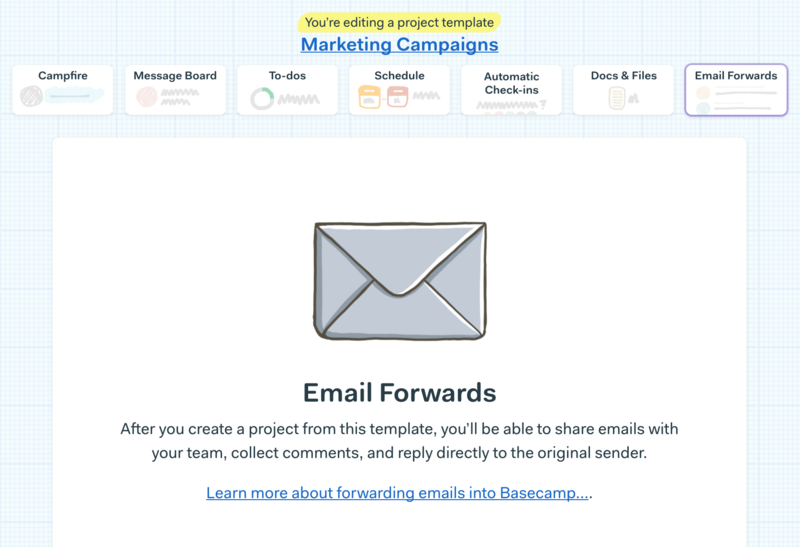 Once saved, you can start adding content and organizing your new project template. 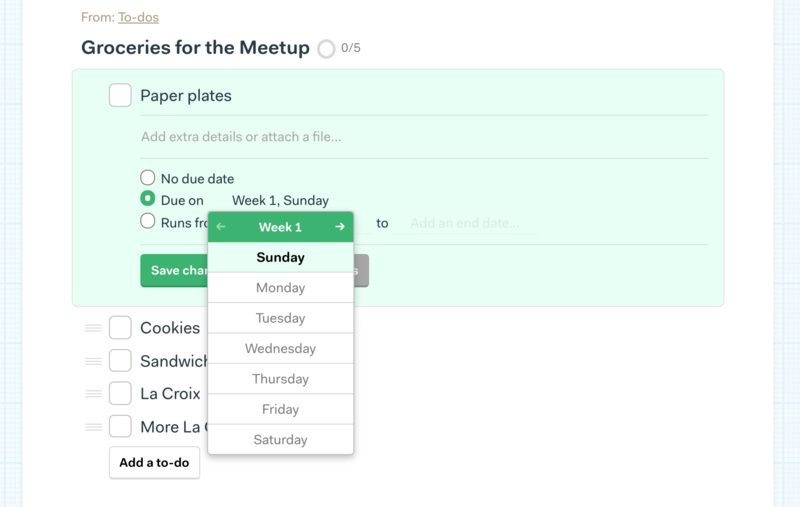 This works just like other projects in Basecamp 3: Click the section you’d like to edit and add content. When you create a new project from this template, we’ll copy everything over so you don’t have to. You can even rename the tools and toggle them on/off. That way, if you run a lot of projects that are just to-dos and messages, you can disable tools you don’t use. Email Forwards are a little different. You can turn them on, but we won‘t provide an email address until you create a project from the template. Once you create your first template, click the “New” button in your Projects section to start a project from an existing template. 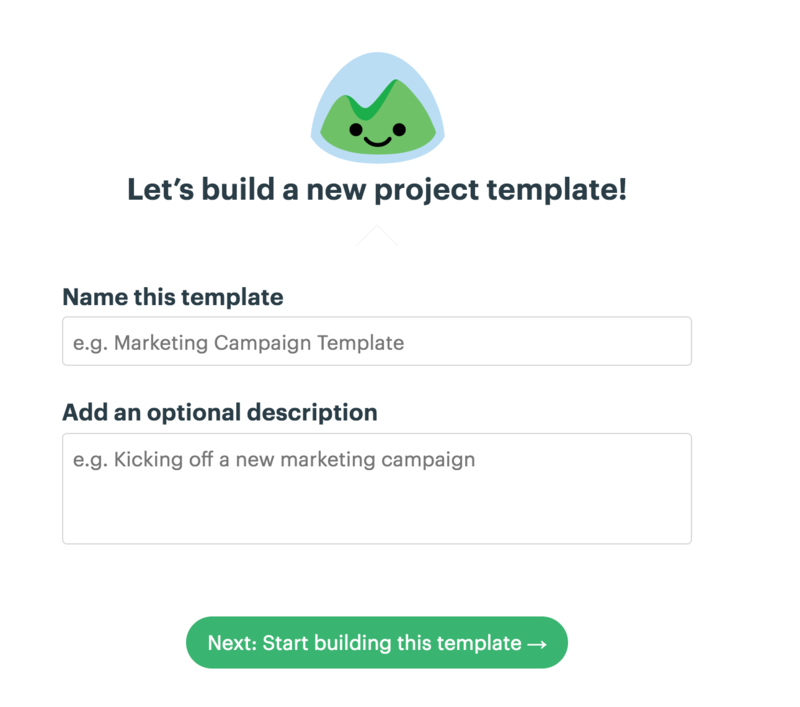 Click that button and you’ll be prompted to choose your template before entering other details about your new project. 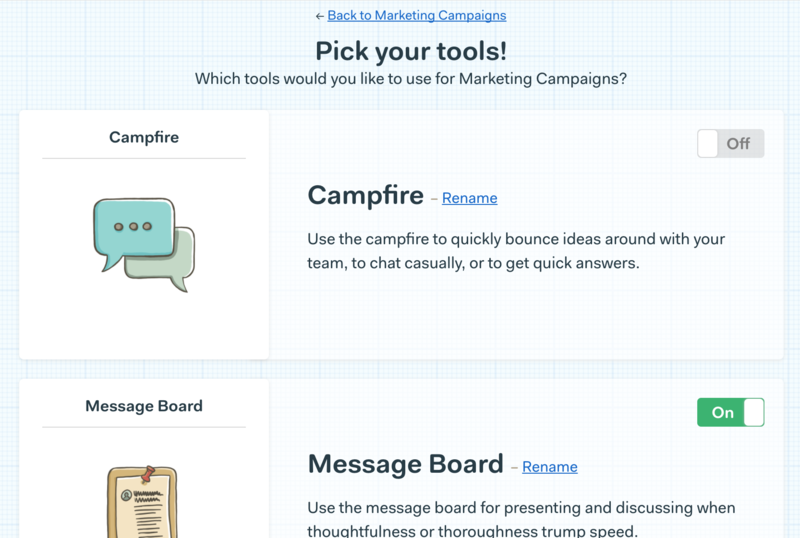 Pick your template from the menu, give your project a name, and we’ll start building your new project. For large templates, it may take a few seconds to copy everything over. While the content is being copied, you may briefly see a “Building from template…” indicator. This should be brief and you click through anytime. To see all your templates and make edits, click the “Manage Templates” link. You’ll see your templates and an option to create more. Like Projects and Teams, you can click a Template card to view it or the ••• icon to expose a set of options. Archived and deleted project templates will not appear in the templates menu when you’re starting a new project. Any dates you add will be scheduled relative to the start date of your project. 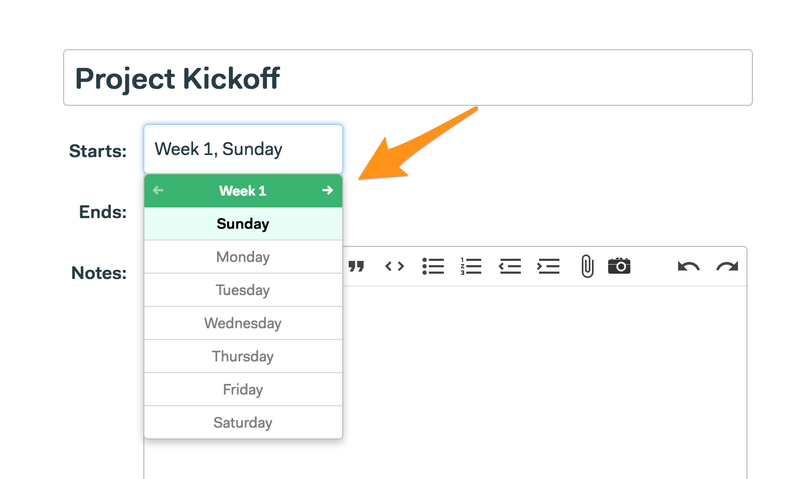 When you add an event to your template, you'll choose the week, and the day of the week for that event. Click to choose the day of the week, and click the arrow to change the week number. The project's start date is the day you create it from the template. Week 1 of your project begins on Sunday of that week. 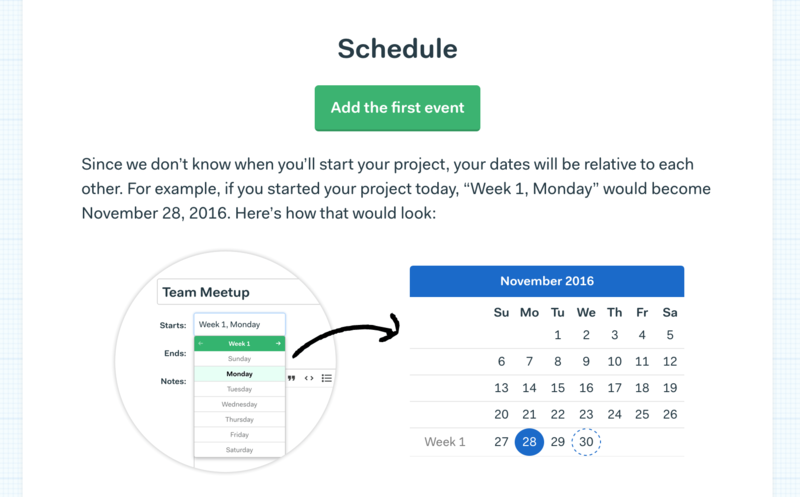 You can tweak your dates manually in the project before or after inviting people to join the project! Week 1 starts on the prior Sunday, so events occurring earlier in the week may appear in the past, depending on when you start your project. 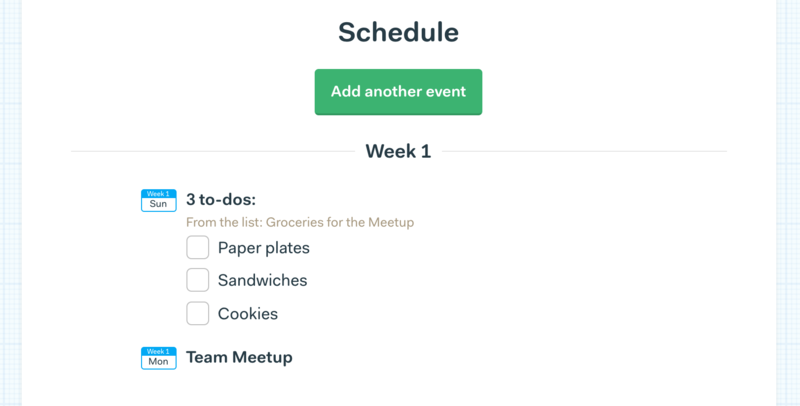 Like Schedule events, due dates on to-dos are relative to when you start the project. You can specify a due date or start/end dates, just like regular to-dos. To-dos inside project templates cannot be completed. Because you don’t invite people to project templates, you can assign to-dos once you create a project from the template. 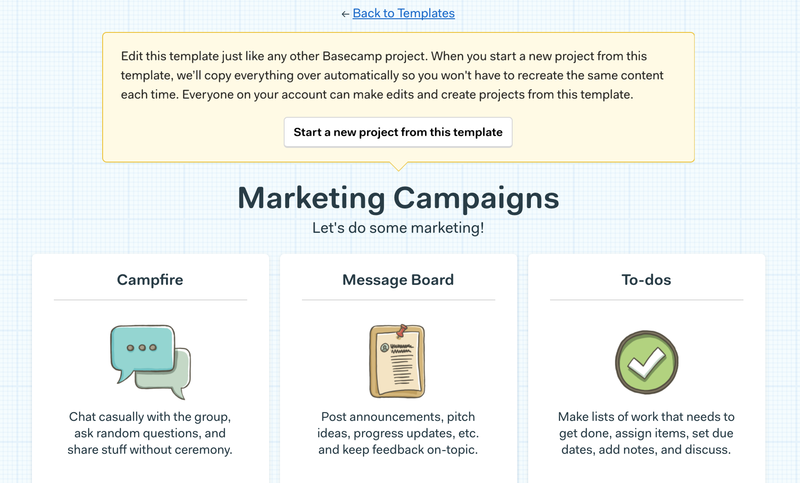 When you start a project from a template, you’ll be the only person invited. This gives you a chance to tweak dates and modify the content. Once you invite people to your new project, everyone will get a summary email. This email will contain all their assignments (if you've assigned any to them in the new project), messages, and other project info. Note: Everyone on your account can make edits and create projects from templates.